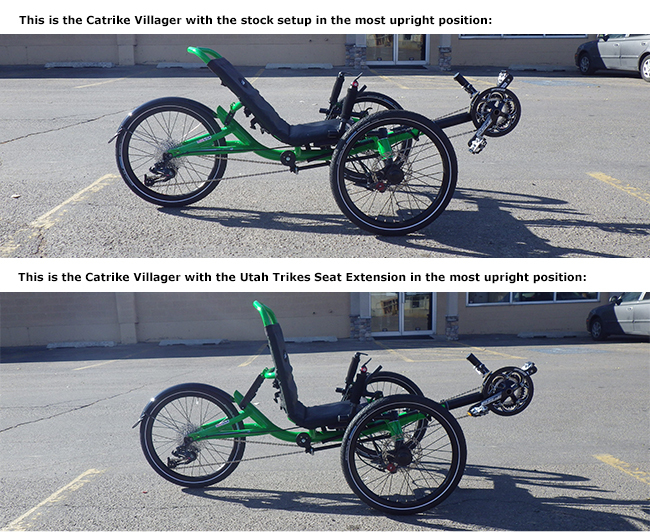 We have had so many people tell us that they wish their Catrike seat could go more upright. Well, now you can! Our seat extensions let you adjust the seat back to a nearly vertical position. Hey, it's your trike right? You gotta be comfortable! 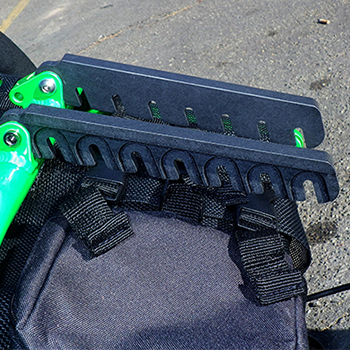 We also utilized a slotted design on the extensions so that you can make adjustments easily with just the quick release lever whereas the stock adjusters require unthreading the quick release. This also makes folding the seat down to stow much quicker and easier. 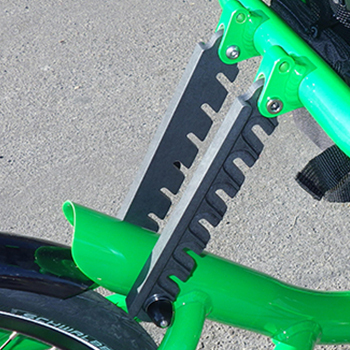 "Any time you can change your position on your trike will allow for a longer, more comfortable trip and spending more time riding is never a bad thing." "Bigger guy, love the seat adjustment." "I have neck problems and also wear tri-focal glasses a more upright seat relieves both problems." "I think it will be more comfortable to sit more upright. I could relax more and be able to see whats ahead better."